Today at Bitten By The Bug it was my friend and fellow Design Team Member--Susan's turn to pick the challenge and I think she picked very appropriately :) She chose the border and a heart from the Martha Stewart Seasonal Art Cake Cartridge. I LOVE anything on the Martha Stewart cartridges so I couldn't wait to play! My favorite part of the Martha Stewart Cake Cartridges, which happen to be some of my FAVORITES, are the borders. I just love them, especially when welded together in the Gypsy! It is like having all of Martha's punches right there with me :) I welded the heart border onto a 5" x 5" basic square on the Gypsy to make my card front. To give the pink heart some texture, I stamped embossed it with clear embossing powder. I then added some Stickles in Bubblegum Pink. 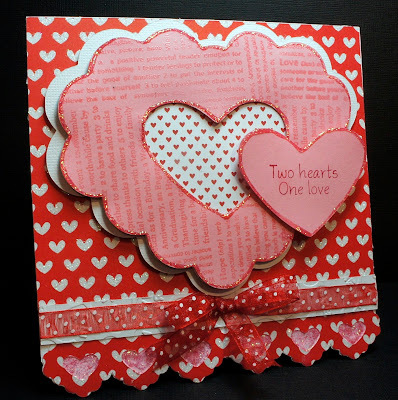 Please go check out all the fabulous designs with these images at Bitten The Bug 2 today and then play along with us! 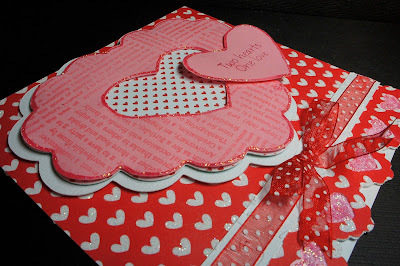 Card Base: 6" x 6"
Love Border: Martha Stewart Seasonal Cake 2-borders welded--each one .93"
So pretty! I love anything Martha! LOL. Have a wonderful V-day :0). What a great take on our challenge, Maria. The design is wonderful, love the papers. That is a beautiful card! Love it. Great job! Maria you so rocked this card! I love the papers and embellies you chose. Yes, I too love the MS cartridges! I wish people would not think of them as just the cake cartridges. They have such awesome cuts! And when those cuts are combined with your limitless talent - WOW! Oh pretty, pretty. I bet DH loved it! I am wanting those MS cake cartridges just for those borders. I can dream, someday soon. TFS and have a happy Tuesday! 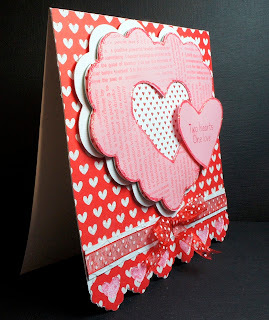 I ADORE all the layering and especially the MS border. Something to add to my "must have" list. Also love the stamping on the heart. Great job! Beautiful card Maria. 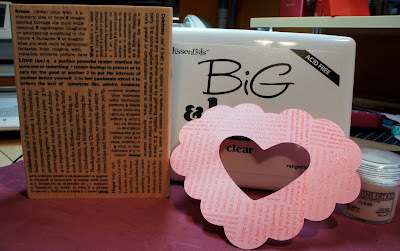 Love the papers and the layering. I've never been tempted to get the MS cartridges...until now. Thanks for the inspiration. This is beautiful! WOW! I love the dimension and the great colors. I also really like how you stamped the heart.